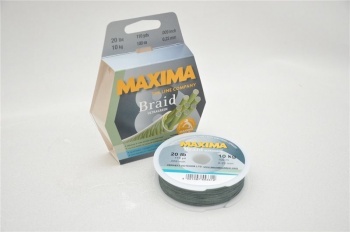 MAXIMA’S new BRAID is manufactured with the latest 8-yarn Round Construction Braiding Process. It’s sealed and smooth surface is achieved by MAXIMA’S new Triple Coating Treatment which leads to an exceptional castability and to an outstanding abrasion resistance. 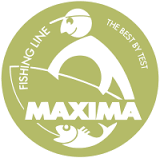 In order to ensure a high-strength connection as well as a sensitive contact to the fish, MAXIMA’S BRAID is pre-stretched and heat-fixed.